Fix the plot and story structure problems holding your manuscript back! A great plot will pique reader interest and make them want to know what happens next, but predictable plots can lose them after a few chapters. Make sure your plot keeps those readers hooked. Janice Hardy takes you step-by-step through plot and story structure-related issues, such as wandering plots; a lack of scene structure; no goals, conflicts, or stakes; low tension; no hooks; and slow pacing. She’ll show you how to analyze your draft, spot any problems or weak areas, and fix those problems. 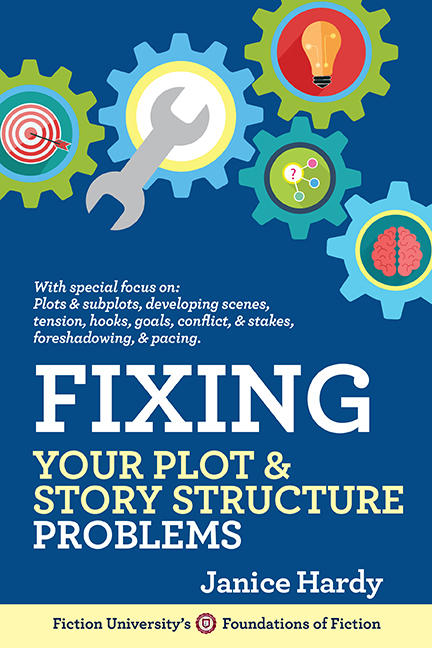 Fixing Your Plot & Story Structure Problems is an easy-to-follow guide to crafting gripping plots and novels that are impossible to put down.